The Road to Polish Con is back as a preview for the September 23rd Polish Con event in Chicago. I am delighted to be involved again as both Director of the event and Official RTPC Blogger! If you missed the NYC Road to Polish Con, you can find photos and links here. 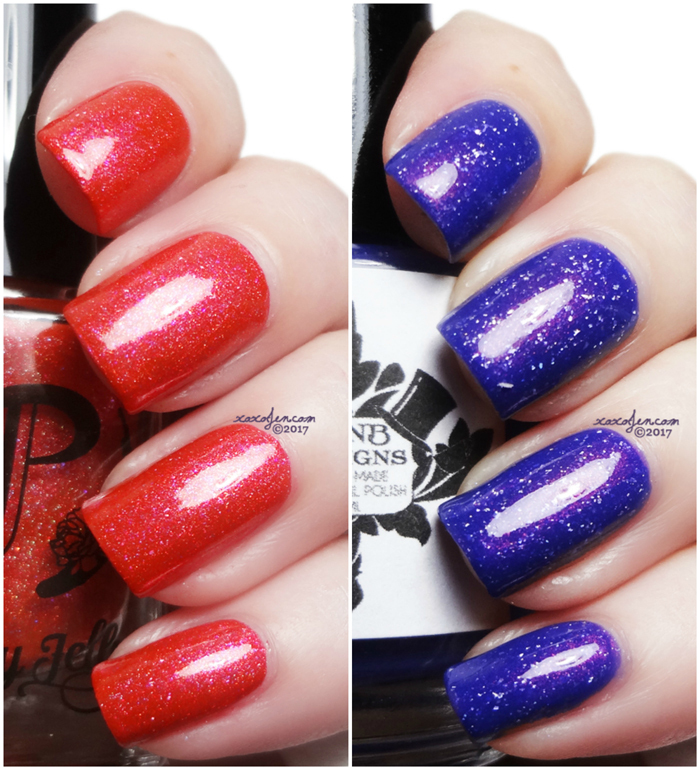 Both polishes cover well and could potentially be one coaters, but I've used two due to bright lighting. Formula for each was smooth and easy to apply, no issues to report. I hope you've enjoyed the review and photos - snag yours this Sunday morning after 8am Central over at http://polishconvention.bigcartel.com/products. They're available 9/10-9/16. Join the Polish Con facebook group if you haven't already, get your tickets to Con and be in the know! Both colors are looking great!